Assisted living in Richmond checks in just above the national average. The 2015 Genworth Cost of Care Survey lists the average annual cost to be $46,155 which is far below the U.S. average of $43,200. On a per month basis, this annual figure breaks down to $3,846 per month. If you look at things from a daily rate, the cost hovers around $126 per day. Assisted living is actually higher than the average range for home health care in Richmond, which ranges from $44,616 per year for homemaker services and $45,760 for home health aide services. Assisted living is also substantially less expensive on average than nursing home care in Richmond; the average cost for semi-private nursing home care in Richmond is $88,480 per year, and the average cost for a private room is $96,991 per year. No two assisted living facilities will be the same as each one has its own culture and personality. Richmond has 56 assisted living communities within the city, and then six more on the outskirt areas. Each facility offers its own set of amenities, and many create a personalized care plan based on the veteran's specific needs. Since the care provided to seniors is personalized, assisted living communities have standard services offered with the residents' monthly fees, but they also offer a wide selection of single add-on services that cater to a veteran's preferences. 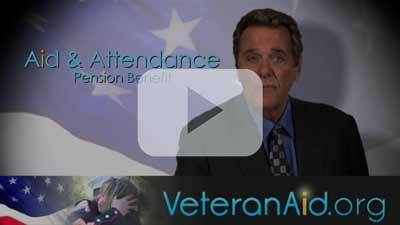 The Virginia Department of Veterans Affairs has many resources available to veterans and their families. One of the most prominent resources they offer is the State Approving Agency for Veterans Education and Training (SAA) which approves educational programs offered by institutions and establishments operating in Virginia. The intention behind this program is to provide education for veterans through colleges and universities, trade programs, and on-the-job training programs. Local veterans can also volunteer with the VA to help guide other vets on everything from dealing with life after service to navigating the tricky waters of veteran benefits. The VA encourages veterans to get involved by helping other veterans, and they provide additional training and options for those who do. As for attractions, there are several points of interest for veterans. The Arlington National Cemetery is considered a top 10 place to visit for locals and tourists alike. This military cemetery is where the nation's service men and women are buried. It started with the American Civil War, but the cemetery has interred other soldiers from earlier wars, as well. In addition, there is the Tomb of the Unknowns. Veterans can pay their respects to fallen soldiers whose remains were never identified. They can also witness the honor guard who serve to protect the tomb and keep the memory and honor of those fallen soldiers alive. And, for those who don't mind a short trip across the Potomac River, there is the Smithsonian National Air and Space Museum. It holds the largest collection of air and spacecrafts in the world. It's a great tribute to the advancement of technology over the years.